association to help them. This realization, along with the passion, dedication and love for the events and marketing side of the business brought him to launch the NYFTA in 2016. The New York Food Truck Association (NYFTA) is dedicated to promoting local mobile food vending in the Metropolitan area. The organization is also focused on connecting the city’s food truck owners and operators to potential business opportunities. Their 30+ members are a group of diverse mobile culinary artists who operate across all 5 boroughs of New York City with cuisines ranging from Korean BBQ, Lobster Rolls, and Mac ‘n Cheese to Dim Sum and Waffles. 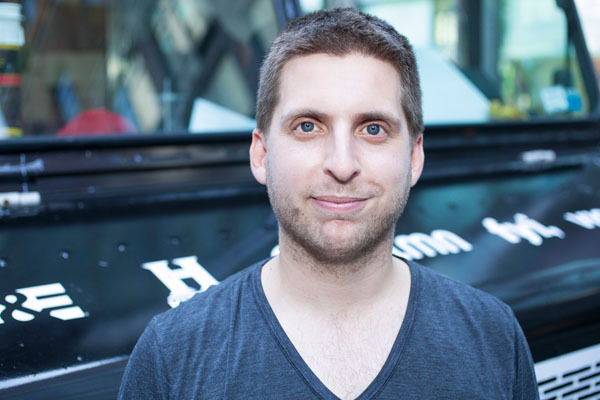 The designated “Food Truck Broker,” Ben currently helps clients navigate the mobile vending industry and launch successful marketing campaigns for their businesses. From producing eye-catching and tasty mobile food truck brand activations, to consulting for Fortune 500 companies and operating food festivals, Ben’s results-orientated nature, work experience and unique insight into the food truck industry guarantee mobile culinary success. He now has a dedicated staff to make sure vendors are going to profitable events as well as helping vendors by sending out marketing collateral on their behalf. The NYFTA’s dedication is shown through revenue, as they can make an individual food truck around 30% of their yearly profit, maximizing their growth potential even further.